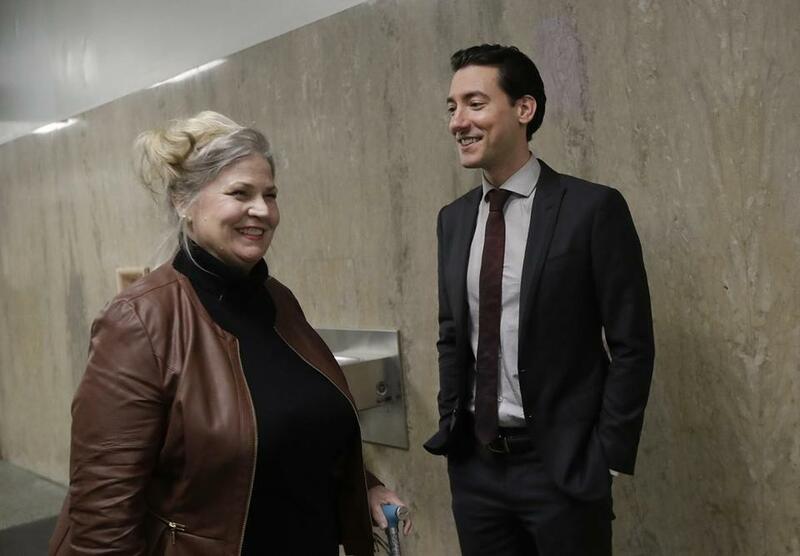 Antiabortion activists Sandra Merritt and David Daleiden spoke outside of a courtroom in San Francisco on Monday. SAN FRANCISCO — Planned Parenthood has made an unusual legal demand to join California’s criminal prosecution of two antiabortion activists charged with invasion of privacy for secretly making videos as they tried to buy fetal material from the organization. Planned Parenthood says it wants to join the prosecution for the safety of the workers scheduled to testify. The group’s attorneys say they want the ability to object to defense questions that could identify or otherwise jeopardize the workers’ safety. They fear receiving threats from antiabortion activists.